Why would a Californian drought trigger an outbreak of mosquito-borne disease? Mosquitoes need water almost as much as they need blood so why is it a drought could cause an outbreak of mosquito-borne disease? 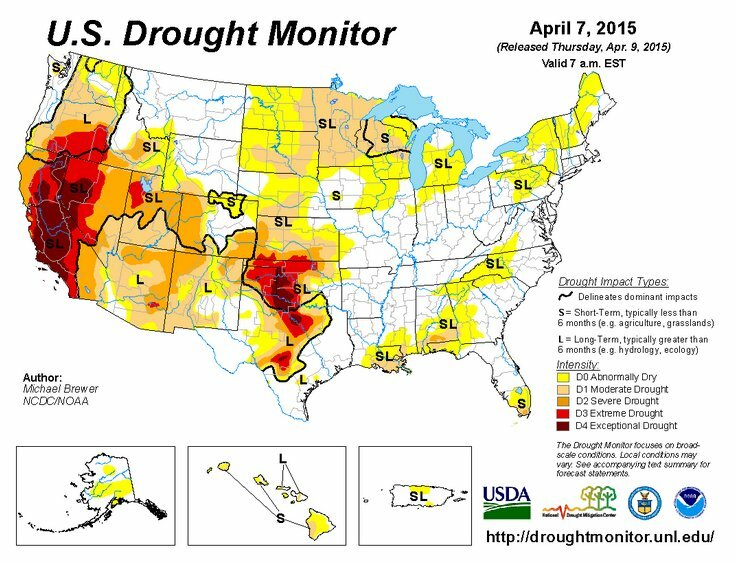 Why does the drought in California mean less water but more mosquito-borne disease? All mosquitoes need water. It could be a teaspoon of water in a pot plant base or an expanse of wetlands inundated by tides. Following flooding, health authorities are typically quick to issue public health warnings about increased risk of mosquito-borne disease. However, more mosquitoes doesn’t always mean more mosquito-borne disease. Mosquitoes need blood. As well as biting people, they also bite animals. 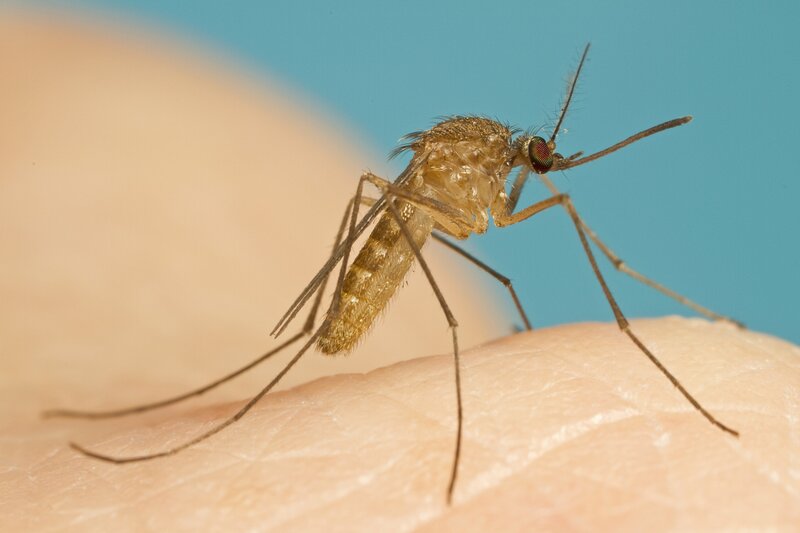 Outbreaks of mosquito-borne disease typically requires the presence of wildlife, animals that act as reservoirs for the disease-causing viruses. West Nile virus is a mosquito-borne pathogen generally spread between birds and people by mosquitoes. Culex mosquitoes they appear to play the most important role in West Nile virus transmission in urban environments, particularly Culex pipiens. These mosquitoes are generally not breeding in wetlands. They’re found in artificial structures ranging from backyard containers and neglected swimming pools to stormwater pipes and drains. These mosquitoes have moved out of the swamps and into the suburbs! They’ve also moved into the constructed wetlands popping up throughout the suburbs too. Rather than water birds associated with wetland environments, the birds playing a key role in West Nile virus transmission are small songbirds common in urban areas. These birds roost in large numbers and are the target the the Culex mosquitoes that preferentially feed on birds. It is important to keep in mind that there is still a lot of learn about how the roosting behaviour of birds influences their exposure to West Nile virus. During “dry” conditions, bird populations are concentrated in urban areas (where humans provide water and food) and mosquito populations associated with urban water-holding structures increase. During “wet” summers, bird populations may be more widely dispersed through the environment with many birds roosting and foraging well away from residential areas and reducing the contact between birds, mosquitoes and people. When the “dry” summers arrive, birds move back close to the people. People who provide water. In the absence of rain, water stagnates in stormwater pipes and drains providing favourable conditions for mosquitoes. During “wet” summers, the mosquitoes are flushed out by increased water flows and, even if they don’t, permanent habitats are more likely to support populations of mosquito predators such as fish. During “dry” summers, people also start storing water around the home. Once water restrictions kick in, the desire to keep the garden looking healthy can potentially pose an indirect health risk to the homeowner as they hoard water around the home that provides habitat for mosquitoes. In short, dry conditions help concentrate mosquitoes and birds in close proximity to people and increase the risk of mosquito-borne disease outbreaks. 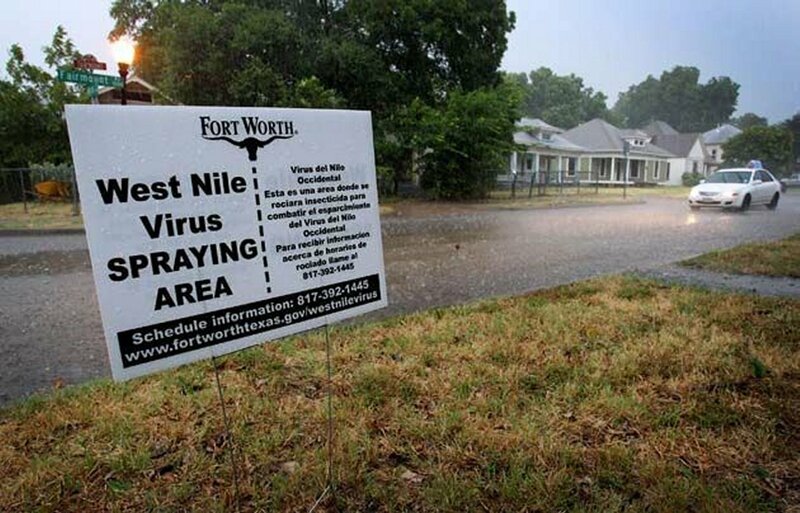 West Nile virus was first introduced into North America in 1999. Despite rapidly spreading across the continent in the subsequent years, the numbers of outbreaks steadily declined and, to some extent, it fell of the radar as a serious public health concern. There was a resurgence of the disease in 2012 with an outbreak primarily focused in Texas. There was a substantial increase in the number of cases compared to previous years with an unusually warm spring thought to have played an important role in driving the outbreak. Health authorities were warned that outbreaks of this nature may continue. 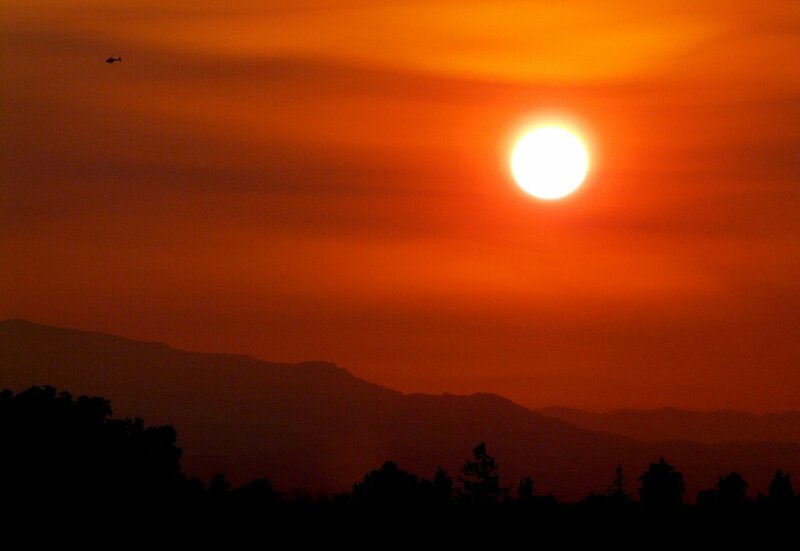 For the past couple of years, California has been hit with one of its worst droughts in decades. It is having widespread impacts and may also be increasing mosquito-borne disease. Californian authorities have been battling potential public health risks associated with mosquitoes on many fronts. There were record numbers of deaths due to West Nile virus disease in 2014 and exotic mosquitoes were detected. This included an Australian mosquito that was found in Los Angeles. It is relatively early in California’s mosquito season but West Nile virus has already been detected. Health authorities are warning that another bad year for West Nile virus activity could be ahead despite the ongoing drought. There is already a suggestion that the severity of the current drought may be exacerbated by climate change and that climate change may be playing a role in future West Nile virus risk internationally. 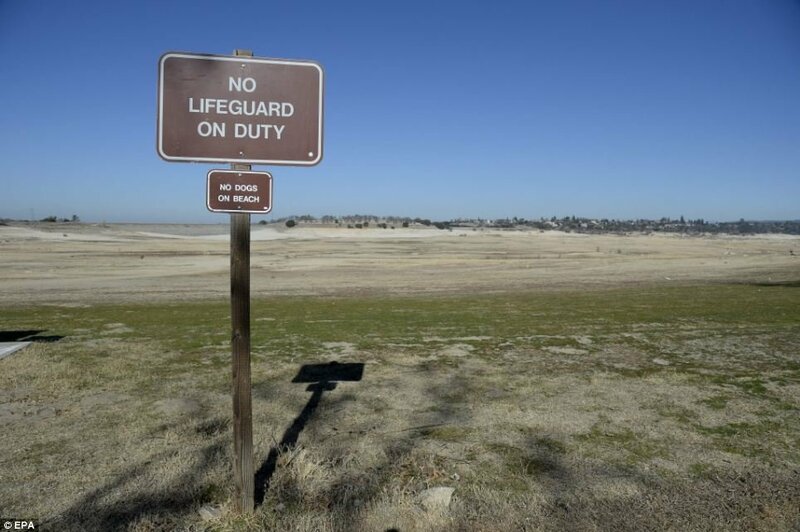 There is little doubt that prolonged drought will impact Californian residents in many ways and an increased risk of mosquito-borne disease is just one of them. Fortunately, mosquito and vector control agencies in California work closely with local health authorities to monitoring mosquito and pathogen activity to provide warnings of increased risk. However, there is responsibility for everyone to ensure that the ways in which water is conserved around the home doesn’t increase the risks associated with mosquitoes. 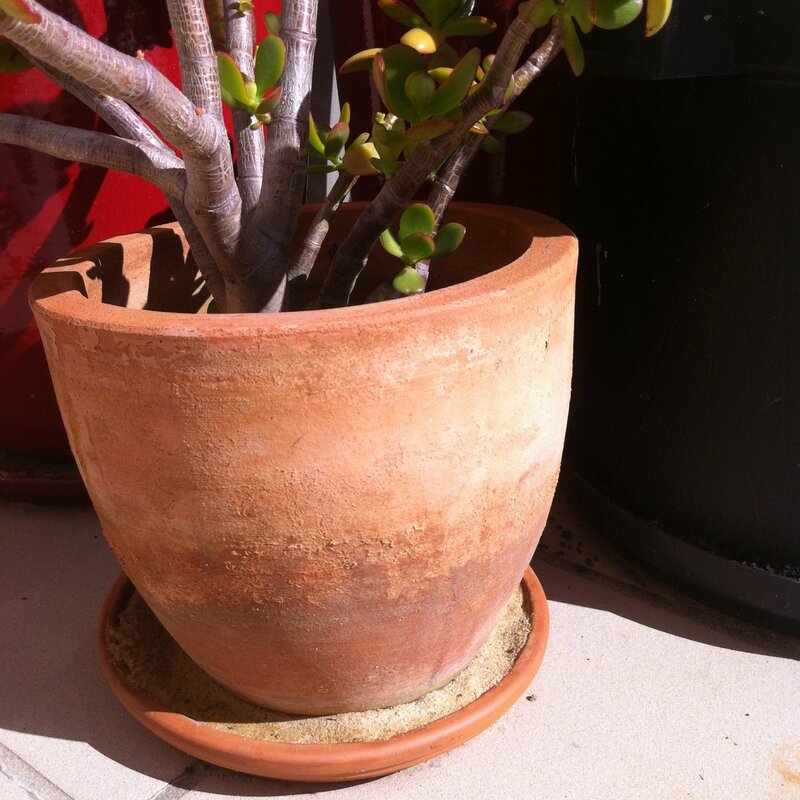 If you’re worried about keeping your pot plants well watered but don’t want to provide a home for mosquitoes, fill the saucer with sand. It will keep the moisture in place but there is no “free water” for mozzies to use! If you’re not able to “dump and drain” water holding containers, make sure that they’re covered to stop mosquitoes getting in or out. If you’ve got a swimming pool that’s neglected, start chlorinating it or release fish to eat through any mosquitoes. There are also a few mosquito control products that could be used, the most appropriate would probably be the insect growth regulator methoprene, it will stop mosquitoes emerging from the water holding container. Why not share your tips on saving water around the home while not increasing opportunities for mosquitoes on Twitter? Mosquitoes can be more than a nuisance. They pose health risks but could also erode the good will of the community for wetland rehabilitation projects. Wetland rehabilitation needs mosquito control. It’s a warm February evening. A small and anxious group of residents have gathered in a local community hall to discuss the implications of a local wetland rehabilitation project. Some are angry. One of the first questions comes from an elderly gentleman. Close to tears, he explains how his grandchildren no longer visit due to the plagues of mosquitoes that engulf his property day and night. “What are you guys going to do about it?” he pleads. I learnt a valuable lesson that night. Trying to explain the best mosquito repellent to use doesn’t go down too well when an audience is facing some significant nuisance-biting impacts around their homes. It doesn’t matter how much DEET is in the repellent, it may well work but is it something you need to wear all day just to get the day to day jobs done around the house? Something more substantial is required and, with hindsight, should have been in place before the first waves of mosquitoes left the local wetlands. Sea level rise and climate change is putting pressure on saltmarshes and urbanisation is eating away land that would otherwise accommodate a landward shift in estuarine habitats. There is nowhere for saltmarshes to spread to so they’re destined to be swallowed up by mangroves. 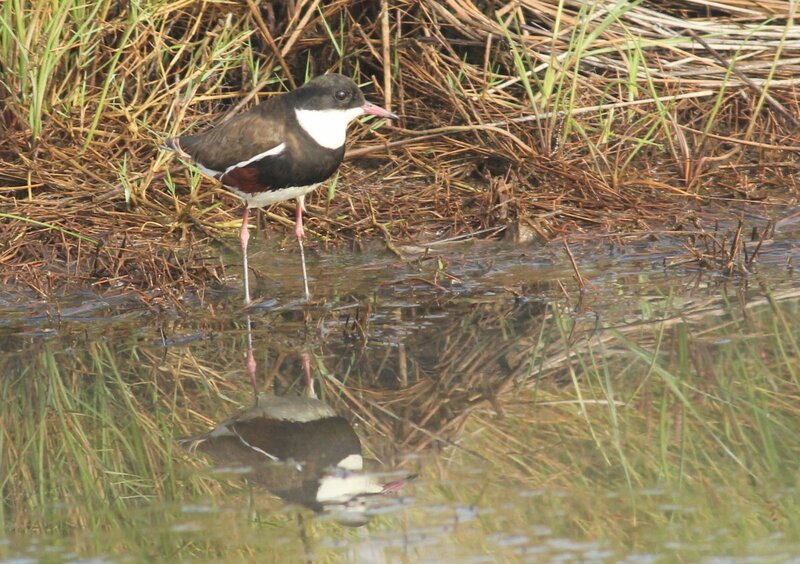 While the mangroves are valuable themselves, they don’t provide the same critical habitats required by many of the internationally protected migratory shorebirds that rely on saltmarshes. Saltmarsh habitats could well disappear from much of the east coast in coming decades if sea levels rise as expected and mangroves continue their march landward. Saltmarshes are home to one of our most important pest and vector mosquito species. While it is important to remember that Aedes vigilax is an Australian native animal and just as much a part of our wetland ecosystems as fish and birds, there is little doubt that it can have substantial impacts with regard to nuisance-biting and the transmission of Ross River virus. Historically, many of the saltmarshes along the east coast were drained or filled to enable increased cattle grazing (although much of it was under the guise of protection from flooding). Tidal flows were cut off with the construction of levee banks and installation of flood gates. Notwithstanding the impacts of grazing, without tidal exchange, the habitats became brackish water to freshwater dominated systems with a dramatic change in vegetation. Saltmarsh and sedgeland vegetation was steadily replaced by reeds and rushes. Invasive plants such as Phragmites quickly took over many of these wetlands. To combat the degradation of wetlands and impending loss due to climate change, there has been some ambitious wetland rehabilitation projects planned. 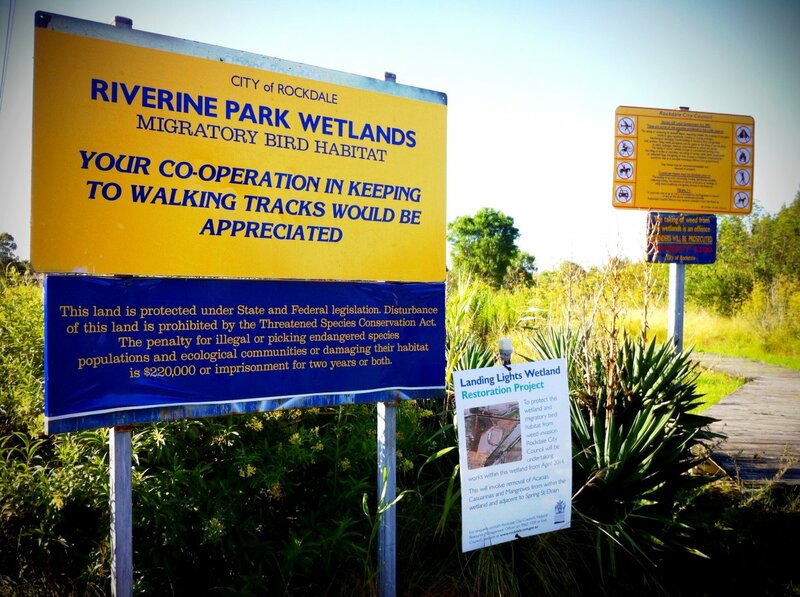 One of the largest in the southern hemisphere is the Hexham Swamp Rehabilitation Project. 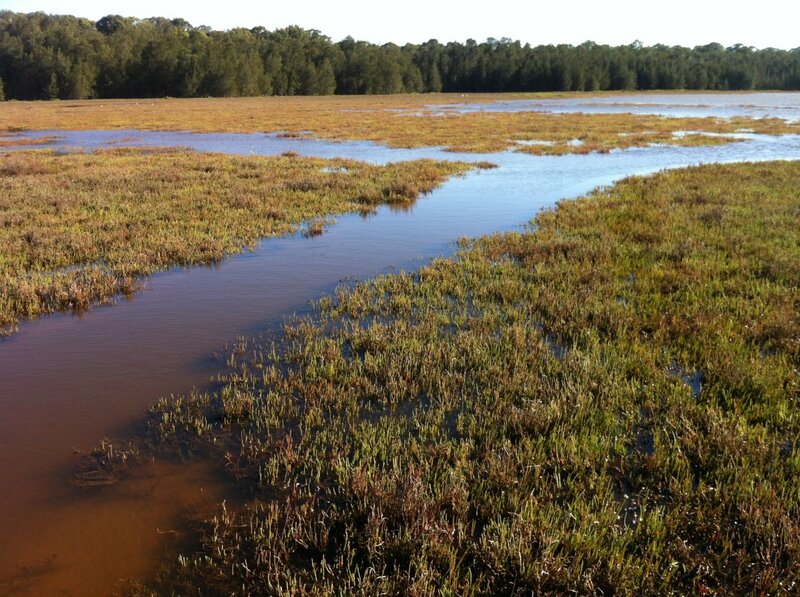 Much can be learned from the experience in this wetland just west of Newcastle, NSW, and applied to rehabilitation projects, not only in Australia but overseas as well. 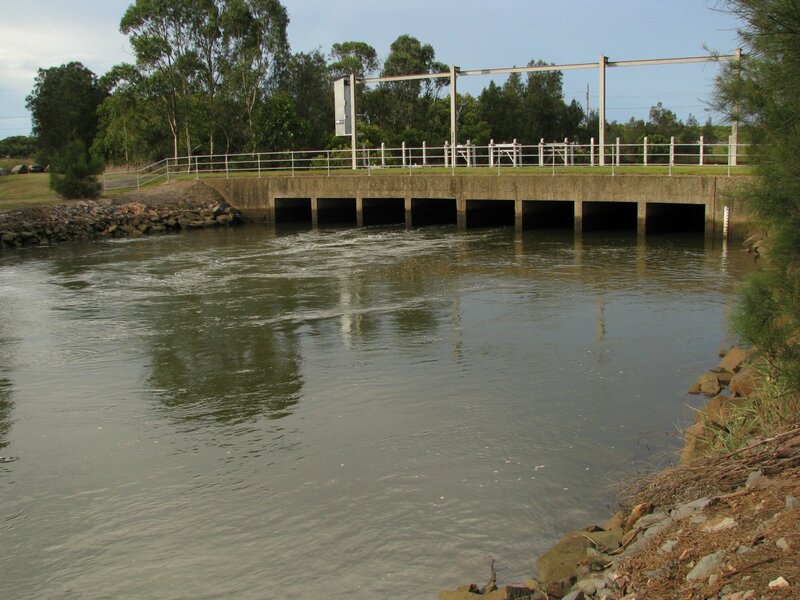 Rehabilitation of Hexham Swamp involved the staged opening of existing floodgates to reinstall tidal flows to an otherwise freshwater system. Many aspects of this project were considered and it is unsurprising that one major issue was the possible impact of mosquitoes. Mosquito populations were something of legend in this area, enough so that there is a “big mosquito” outside the local bowling club affectionately known as “Ossie the Mossie” (coincidently, “Ossie” celebrated her 20th birthday in March 2014). One of the important considerations when assessing mosquito risk was that there had been a dramatic transformation of the areas surrounding the wetlands in the last 20 years. What was once agricultural land was now residential. This is the same situation right along the east coast of Australia, the rapid urbanisation and swelling residential populations along the coast have put people in the firing line of Aedes vigilax. The prospect of mosquito control was raised in the early stages of the rehabilitation planning but there was great reluctance from the local authorities to head down that path. The problem is that broad scale mosquito control and ecological rehabilitation are often seen at opposite ends of the wetland management spectrum. I’ve experienced this many times first hand, from scepticism regarding the non-target impacts of biological larvicides to “Apocalypse Now” jokes as helicopters go about routine spraying of local wetlands. Is there such a thing as “environmentally friendly” mosquito control? The hangover from the actual and perceived impacts of pesticide use more than 50 years ago is still present in the minds of many responsible for managing local wetlands. I say perceived as the development of environmentally sustainable mosquito control programs over the past two decades may not be appreciated amongst those charged with managing wetlands and wildlife. I feel we need to continue building the case for the range of mosquito control strategies available for our coastal wetlands. Not only do we need to convince local authorities that mosquito populations can be minimised without adversely impacting the local environment but that mosquito control should be a critical consideration in wetland rehabilitation projects. It also has the potential to reduce mosquito-borne disease. We know that the direct non-target impacts of Bacillus thuringiensis israelensis and s-methoprene are minimal and there is growing evidence that the indirect impacts on local wildlife due to reduced mosquito populations isn’t a major concern. Well-designed projects can also minimise the frequency of treatments while reducing peaks in mosquito activity. It seems our coastal bats populations are mostly eating moths, not mosquitoes so there is unlikely to be any significant impact on these bats resulting from reduced food. There is no reason why the judicious use of larvicides can’t knock the top off abundant mosquito populations, reduce the pest impacts on local community and not pose a risk to local wildlife. Perhaps it should be considered a critical component of wetland rehabilitation? In speaking with wetland managers, I try to instil with them the importance of mosquito control. There is a risk that swarms of nuisance biting mosquitoes may erode the good will in the community for wetland rehabilitation. These systems, particularly in the early phases of rehabilitation don’t represent pristine environments and while there may not be a desire to establish ongoing mosquito control programs, some control may prove useful while the wetland comes back into balance with the changed environmental conditions. Rehabilitation takes time and while there is substantial breakdown of freshwater vegetation it is not going to be ideal for fish and other mosquito predators. It is likely to provide ideal conditions for mosquitoes. Over time, however, fish are likely to increase in both their abundance and penetration into the wetlands and greater tidal flushing will make many of the wetland habitats generally unsuitable for mosquitoes. Perhaps there is benefit in undertaking control as a show of good will to the local community? After all, engagement with the local community will be critical in the success of wetland rehabilitation projects. 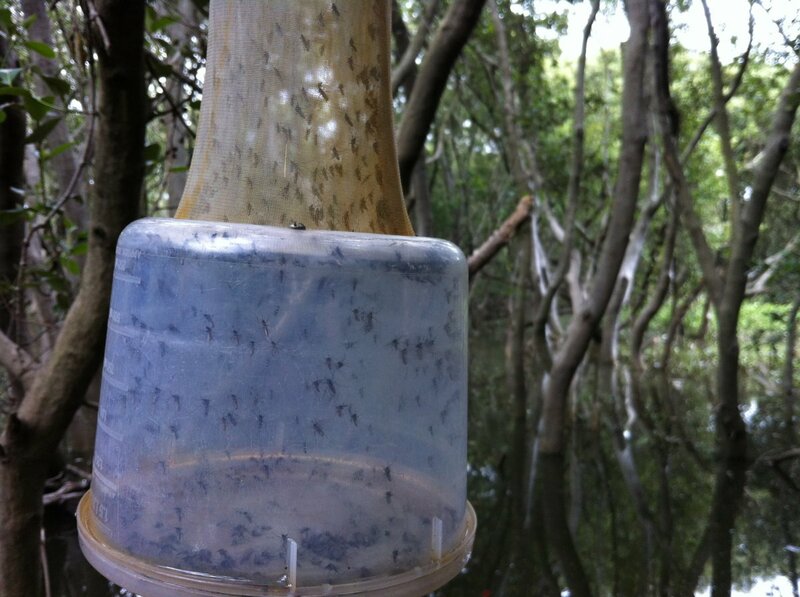 The restoration of tidal flows to Hexham Swamp resulted in an initial increase in the abundance of Aedes vigilax. These increases resulted in substantial nuisance-biting impacts. However, in subsequent seasons, the populations of Aedes vigilax levelled out to comparable levels to those of the surrounding estuarine wetlands. The net result has generally been that the long-term moderate increases in Aedes vigilax populations have been balanced by reductions in Culex annulirostris and Coquilettidia linealis populations as the wetlands shifted from freshwater to saline. The health of the wetlands, as well as the local estuary, is improving. Mosquito control is only a short-term fix and if the rehabilitation of estuarine wetlands is not carefully planned, there may well be ongoing mosquito impacts. However, reducing any initial impacts will go a long way to ensuring continued engagement of the community with the local wetlands. Cost and the operational considerations may be a barrier for organisations unfamiliar with broadscale mosquito control but these issues can be overcome with the expertise that exists in many parts of the country. In summary, it is important that mosquito management be considered in the planning process of major wetland rehabilitation projects. There is little doubt that such projects will be required into the future as saltmarsh habitats and other estuarine wetlands are threatened but protection wetlands shouldn’t mean increasing mosquito populations. A balance is required between conservation of environmental health and protection of human health. 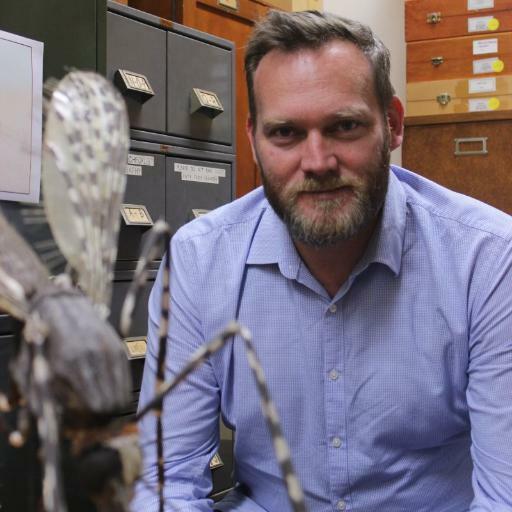 A longer version of this article originally appeared in “Mosquito Bites” (the Bulletin of the Mosquito Control Association of Australia).